(Yes, I know gardening is an unending project that is never truly behind you. 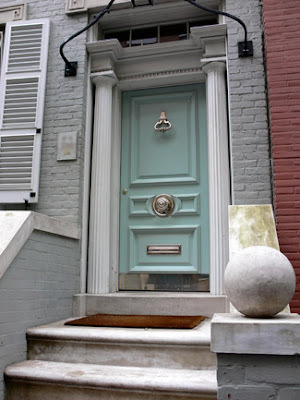 I am itching for a mini (exterior) home makeover! 1. This color would go best with the INTERIOR of our home. I LOVE how the knob is in the MIDDLE of the Door! 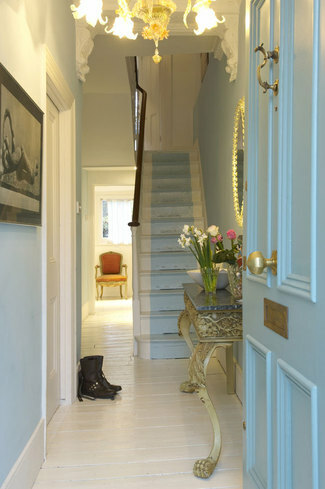 In my next life...I will paint wooden floors. 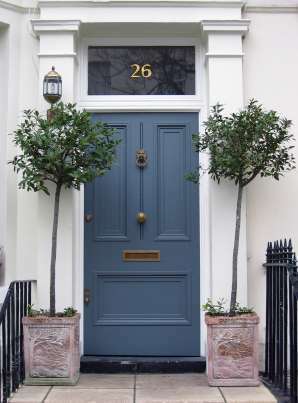 3.This color is so "Tracey"
I also love the door knocker here. Which shade of BLUE would you choose? I would choose the "Tracey" color :) I love it! I love these examples. I never thought I would like the color blue for anything related to interiors or house colors. Then I bought a blue shingled house and now I'm in my blue phase and loving it. I found a vintage aqua bathroom pedestal sink, am using a grayed out aqua blue for my stair risers, and serendipidously, I hired a craftsman to make me a "shabby chic" bookcase and he chose old wood with peeling aqua paint as the backing. 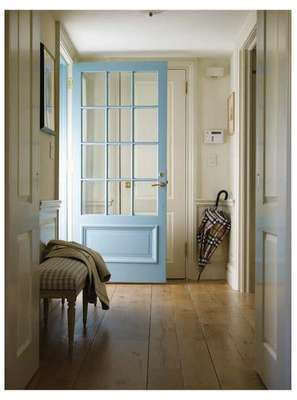 These pics are giving me door color ideas. Thank you! What is the actual color and company that makes the color of the "Tracey?" Love it!